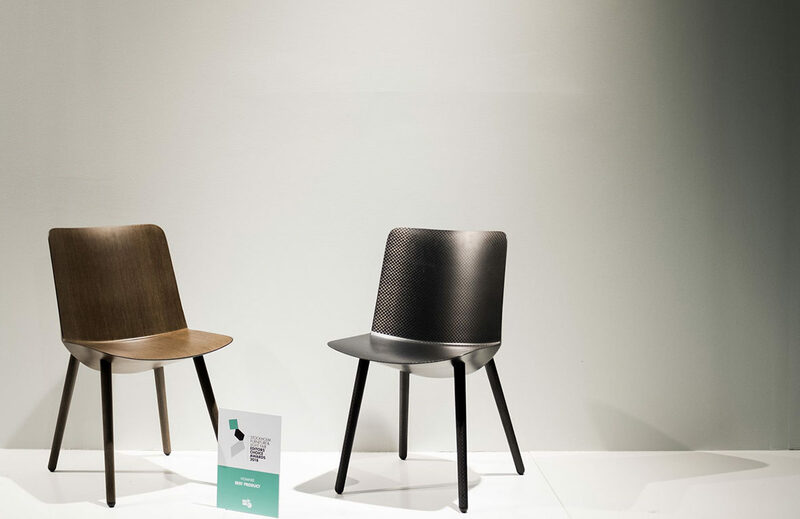 The unique structure of Jin has ideally been realized by shaping thin layers of Flax fibres on top of each other, forming a strong shell around a core of air, making the surface the actual structure of the chair. 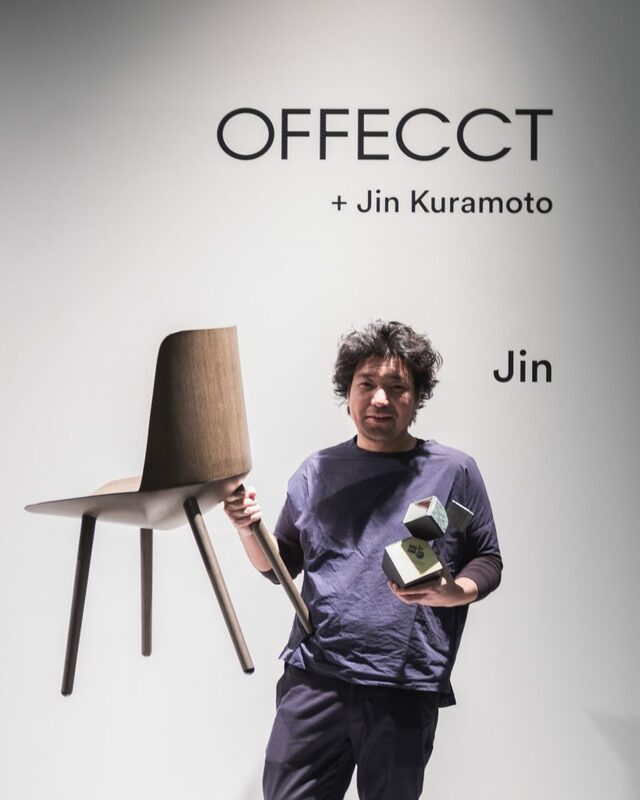 Offecct is also planning to launch Jin with upholstery during 2018. – The material discussions with Jin Kuramoto were held for several years. Numerous experiments were carried out. Flax fibre (Linen) has the advantage of being biological, strong and light, explains Offecct’s Design Manager Anders Englund. Add to that Jin Kuramoto’s ingenious construction and futuristic design, and there were many reasons why Jin attracted as much attention as he did. Now Jin has been awarded “Best Product” at Stockholm Furniture Far which is a great honour, concludes Anders Englund. Read more about Jin Kuramoto. Jin by Jin Kuramoto. Winner of Editors’ Choice Award 2018 as the best product at the fair. Stockholm Furniture & Light Fair 2018.